Looks like a simple flip flop, but these are biomechanically engineered for comfort. 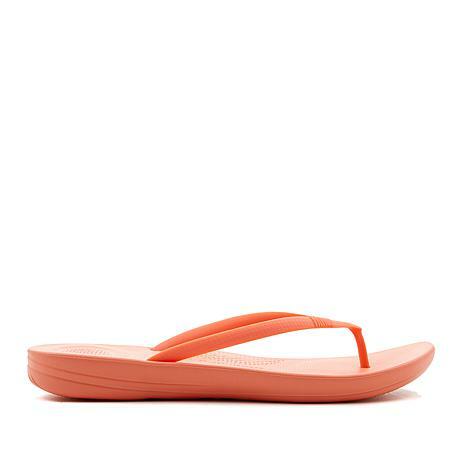 Superskinny, supple and lightweight, FitFlop ergonomic thong sandals feature iQushion™ air-foam cushioning for non-stop comfort. Throw a pair in your suitcase, your work tote, or your gym bag and be all set the minute it's time for those other shoes to come off. Need More Colors!! Love Them! These are by far the most comfortable flip flops I have ever had. Actually, they are as comfortable as my expensive ergonomic sandals! Can hardly feel them on my feet as I walk in comfort! Also I love the style of the black leopard, and the narrow straps are pretty and feminine. Need more colors!! Ordered in navy and came back for the black leopard. The best ever. So comfortable and light weight. They hug your feet just right and feel secure. Bought a pair for my daughter as well. Finally, a good flip flop! I have tried 5 or 6 flip flops this year and kept none of them. Either no comfort, too heavy to keep on feet, or the straps were too wide. You know, like when you have to squeeze your toes together to keep shoe on? These are perfect. Nice and light weight but not flimsy, very comfortable and I love the wide footbed and the raised "bubble" of padding under heel and ball of foot. Great shoe! I got the navy and they look great with jeans. 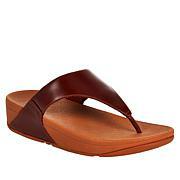 I love this style of fit flop ...perfect for those who love the 'thin sandal' look. I can walk in them all day long and my feet feel supported and energized at the same time! They do sometimes seem to have a different 'fit' depending on color choice (the coral ones have a wider, less likeable toe surface area). I wear a 7 1/2 and buy 7s in this style.